A review of the second season of The Marvelous Mrs. Maisel, available on Amazon on Wednesday, December 5. A report from San Diego Comic-Con on the future "Psych" movie. TIFF 2016: "Mascots," "Weirdos," "Carrie Pilby"
A report from TIFF on three films, including the latest from Christopher Guest. A preview of the Fall network TV season, including our pick for the best new show on each channel. Marie writes: Intrepid club member Sandy Kahn came upon the following recipe and wisely showed it to me, so that I might share it in turn with all of you. Behold the morning chocolate cookie - a healthy breakfast treat loaded with good stuff; like fiber and imported French chocolate. Marie writes: when Roger told me about this place, I signed-up to see if I could watch one their free movies? Yup! I can stream MUBI in Canada; though content will vary depending on where you live (that's also case with Netflix Canada) and so nothing new there. And after looking through their current catalog, I can report that they do indeed have some rare movies - stuff I've never found anywhere else. I even read that Martin Scorcese is a member. 1) I didn't know anyone needed additional incentive to not read Newsweek, since circulation figures indicate that lots and lots of people have been not reading it without making any concerted effort not to do so. 2) "Glee" and "Promises, Promises" are both Musicals, for god's sake. Where would the Musical be without the participation of gay actors? The movie version of "Paint Your Wagon" -- that's where. 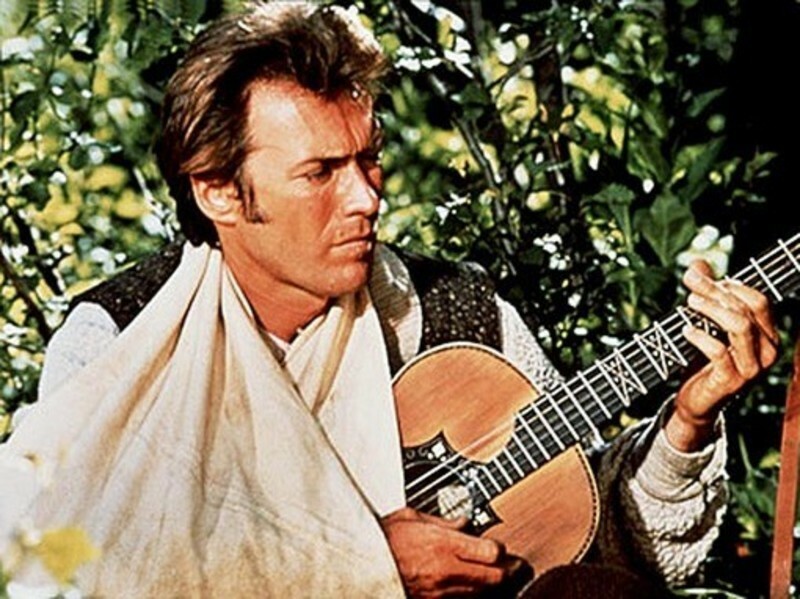 You Musical fans want to spend the rest of your lives watching and listening to Clint Eastwood singing "I Talk to the Trees"? Then go ahead and complain that gay performers are too gay to star in Musicals. The cast of the Oscar-favorite film, "Home for Purim." "For Your Consideration" -- Christopher Guest is blessed with the finest comedic stock company since the heyday of Preston Sturges. Guest, Catherine O'Hara (Goddess of Funny), Eugene Levy, Michael McKean, Harry Shearer, Parker Posey, Jennifer Coolidge, Jane Lynch, John Michael Higgins, Bob Balaban, Ed Begley Jr., Michael Hitchcock, Paul Dooley, Jim Piddock, Larry Miller... I get a thrill just seeing them share screen space in various combinations (and this time they've added Ricky Gervais and Sandra Oh to the mix). Every few years when they get together (the last time they were together was "A Mighty Wind" in 2003), it's like seeing old friends for whom you will always harbor a deep and abiding affection. Here's hoping they keep reuniting for many movies to come. In "FYC," the subject isn't so much the movie industry (Guest already made the best American dissection of the contemporary film business back in 1989 with "The Big Picture") as the awards and publicity industry. We join a film in production -- a kind of kosher Tennessee Williams melodrama about a Jewish family in the South during the war, called "Home for Purim." Somebody on the web (or the "World Wide Internet" as the typically clueless HollyLuddites call it) claims the lead actress (played by O'Hara), an '80s sitcom star who's been virtually forgotten by the public and the industry, may be giving an "Oscar-worthy" performance, and a rumor is born that (as in "The Big Picture") takes on a life of its own.